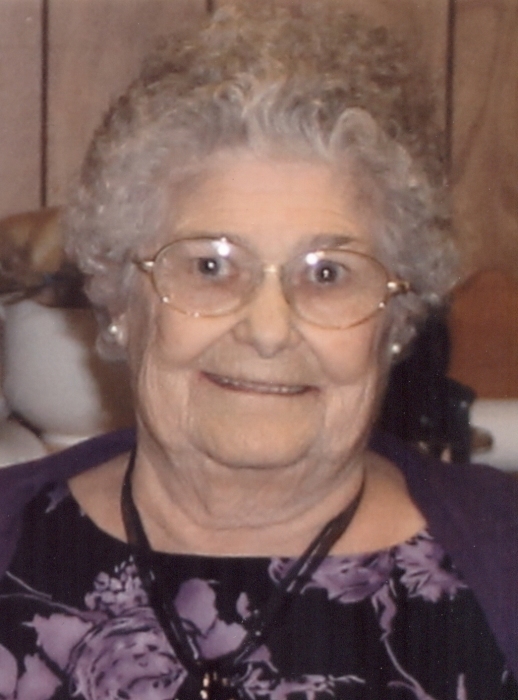 Obituary for Irene (Gauthier) Lamarche | Hillside Funeral Services Ltd.
Lamarche, Irene (nee Gauthier) – Peacefully passed away at the North Bay Regional Health Centre on April 4th, 2019, two days short of her 89th birthday. Predeceased by her husband of sixty-one years Lucien (2008). Loving mother of Robert (Lorraine), Ron (Eliane), Richard (Suzanne), Vivian (Ray Gagne), Sylvain and Suzanne (Robert Landry). Also left to mourn sister Noella Gauthier (Ron deceased), Germaine Blahey (Raymond deceased) and brother Endrien Gauthier (Louise). Cherished memere of 16 grandchildren and 34 great-grandchildren. Also predeceased by her parents Arthur and Rose Gauthier, brothers Alexandre and Sam Gauthier, sisters Elise Jobin and Odile Tache. Cremation has taken place, family will receive visitors from 10:30 am to service time at 11 am at Ste. Bernadette Church in Bonfield on Saturday April 13, 2019. The family would like to extend heartfelt thanks to Dr. Gauthier and Dr. Seguin, as well as appreciation to all other caregivers on C3. In lieu of flowers, donations in memory of Irene to the Nipissing Serenity Hospice would be gratefully acknowledged by the family.